Total Built-Up Area - 1,122 Sq.ft. This floor plan is another shining example of great design with functionality in the same instance. The layout of this simple house plan can be enthroned to most common plot sizes available in India. The layout will be perfect for a plot of 40 x 30 if not less, but more. The main entrance also leads one up to the main living room on one side to the single flight staircase for first floor. The living, dining and the kitchen are spell in the same breadth technically but its is also very functional in terms of usage of space. 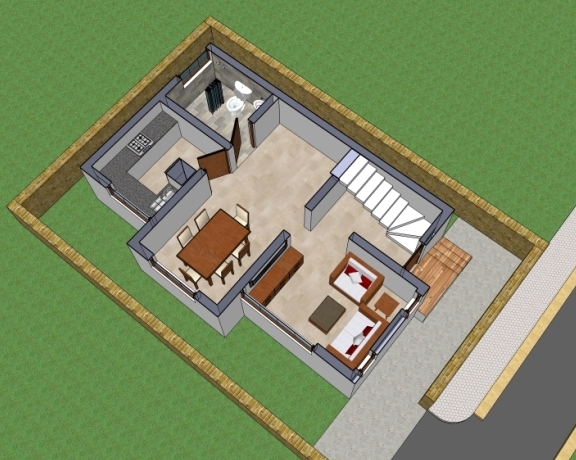 The ground floor also comprises of a common toilet in case the living room converts up for an extra bedroom with additional guest visiting the family. Th upper floor held two precisely carved bedrooms with once having an attached toilet and two common toilets for the rest of the family to use. This layout is very linear in its approach and aligns itself well with the single flight steps on one side of the house. 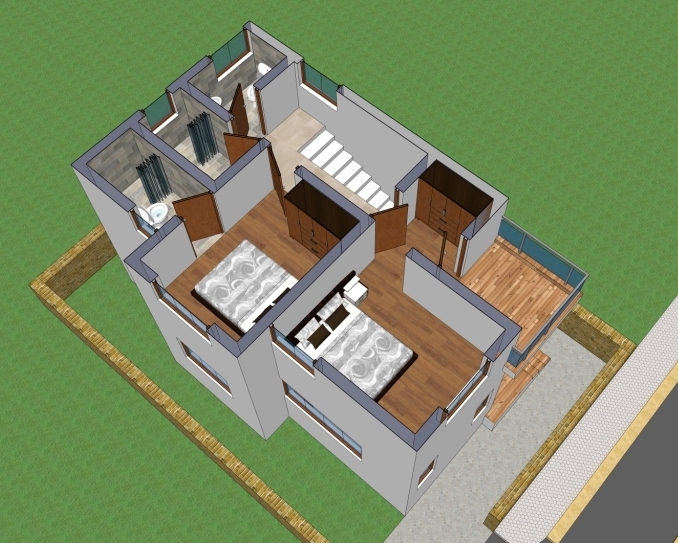 Also the layout manages to provide for a balcony space accessed through the master bedroom on the upper floor.